DotNetNuke (DNN) is an open source content management system powered by ASP.NET/Microsoft IIS web-based technologies. Although the CMS is open source, the web component platform is proprietary. The most common database used in DNN is Microsoft SQL Server, while as of June 2010, most DNN websites can be run using ASP.NET 3.5. Unlike WordPress, which is also open source and can be optimally run in a LAMPP configuration (Apache, MySQL, Linux and PHP), DotNetNuke’s basic installation and configuration is plagued with onsite SEO related issues. Here you can add page name, page title as well as page description. Login as an administrator, then navigate to the page on which you want to set the URL > Using the ‘Edit Page’ dropdown > go into the Page Settings > Type in the URL you want to use in the Page URL field > Click on ‘Update’. Note: robots.txt file can be accessed at the root. Who is The Best and Cheap DotNetNuke Hosting Provider Based in USA? Click Update Page when you are done. 5. No Frames or IFrames : As the Search Engine Watch article says, hosting frames within pages makes it harder, if not impossible, for a search engine to understand a site. The answer for DNN is simple: we don't use Frames or IFrames anywhere. You can install IFrames if you want, but they aren’t used as part of the application. 6. 301 Redirects, not 302 :Here is the solution for that. In the URL Path input box, type the path of the URL as it would appear on the end of the selected site alias. You don’t need to include the leading / as this will be added for you. If the URL you wish to redirect includes a Query String (the code to the right of a ? in the URL), then enter that in the Query String box. This is optional – you don’t need to enter anything here if you don’t have the value. At this point your URL redirect is finished- click ‘save’. This will add it to the list of ‘Custom URLs’. Click on ‘Update’ to close the Page Settings. Your URL Redirect is now active and can be tested. This will significantly improve the onsite SEO aspect of your DotNetNuke website. 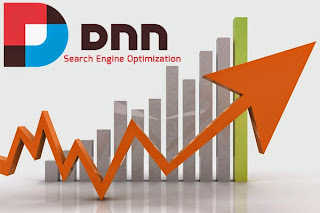 If you would like to check other onsite SEO factors that you can apply to DNN, you can read this article.